Few decorating misdemeanors can summon a shudder like the thought of a garish, over-the-top colour monochrome room. A little girl's favourite pink can easily feel saccharine whilst an invigorating tangerine might just feel gaudy over time. Decorating with a single colour is dangerous territory. But in aesthetic terms, nothing can quite hold a design together like a single-colour scheme. So how can you create a monochrome decor to best effect? Well, the first step is to consider your favourite colour. After all, our homes should be places filled with colours and objects that resonate with our personalities and tastes. Then it's time to play with hues, saturation and shading. Keep reading for 11 monochrome decor ideas to get you started! Employing a single colour scheme doesn't necessarily mean covering the room in wall-to-wall colour. Consider how you might break up the colour by employing lots of patterns like this. With a single colour holding your decor together, you can get a little wild without losing that all-important sense of cohesion in the room. Once you have chosen your favourite colour, consider all the variations of that hue that might work together. Here in this earthy brown living room, there are a huge number of variations on a single colour. There is nothing heavy or overbearing about this room and yet it is built around the one, single colour. In this all-white bedroom there is a huge amount of variation. Note the textures of the distressed furniture, wooden floor, soft grey rug and cotton furnishings. They all add the interest and variety that is so important to a single-colour scheme. You can work to the the extremes of any colour scheme by employing black and white in your decor. This can be a great way to add contrast. 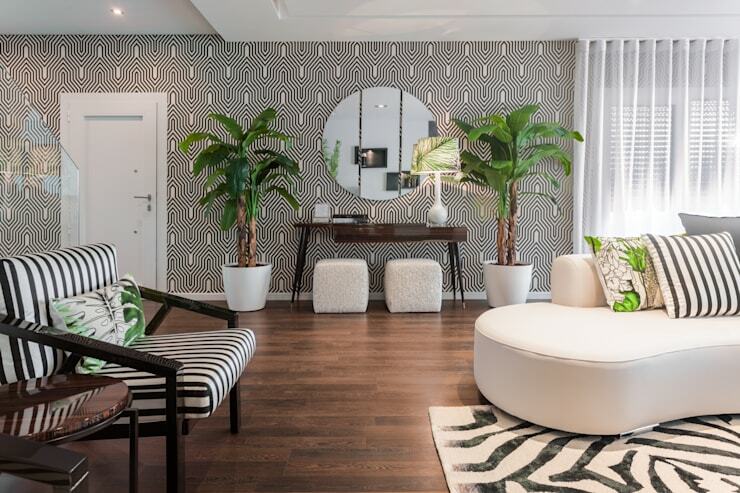 Perhaps you might even just use black, white and grey to decorate a living room like this! If you employ a single-colour hue, the most disparate collection of eclectic furniture will form a cohesive look. So don't be afraid to experiment with bold and experimental designs. What might look over the top in a multi-coloured room will look sophisticated and interesting in a monochrome room. 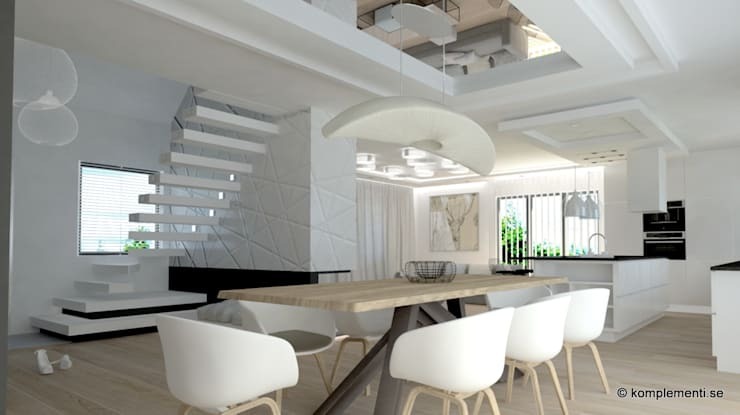 Just look at this all white dining room for inspiration. 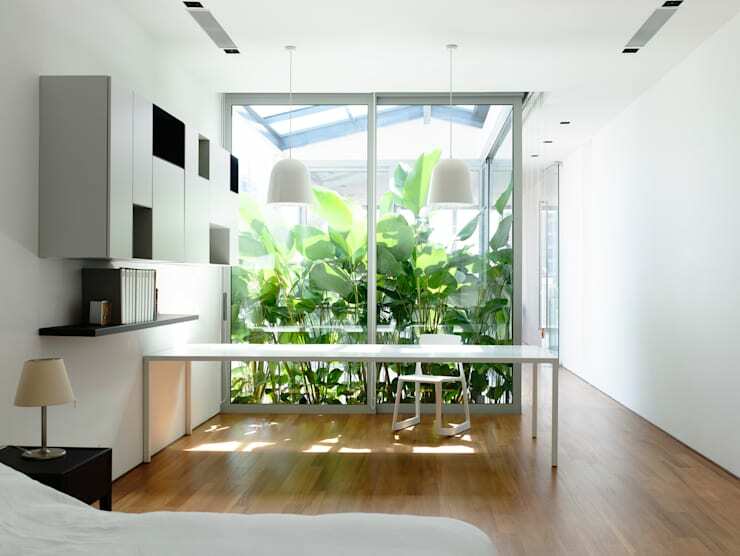 If you just can't help adding a second colour to your scheme, consider the benefits of natural greenery. It might be cheating a little, but natural greenery will add a bright sense of vibrancy and life to a room, while avoiding an obvious colour clash. 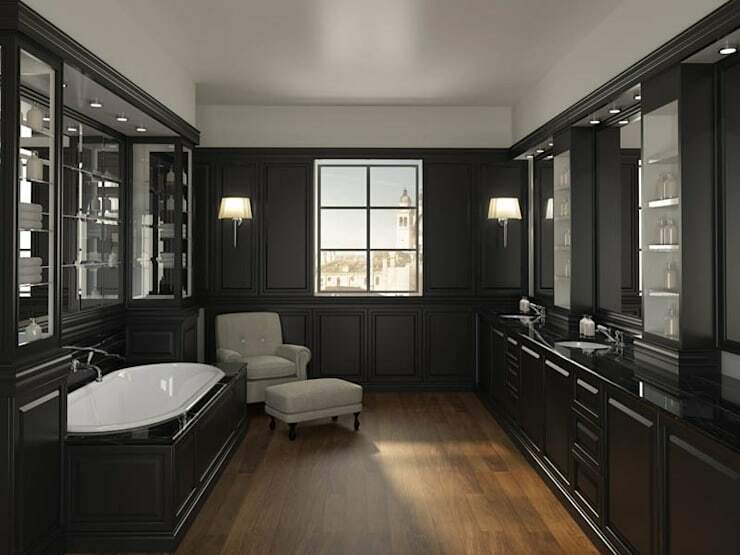 After checking out this all-black bathroom you might be tempted to explore the dark side. 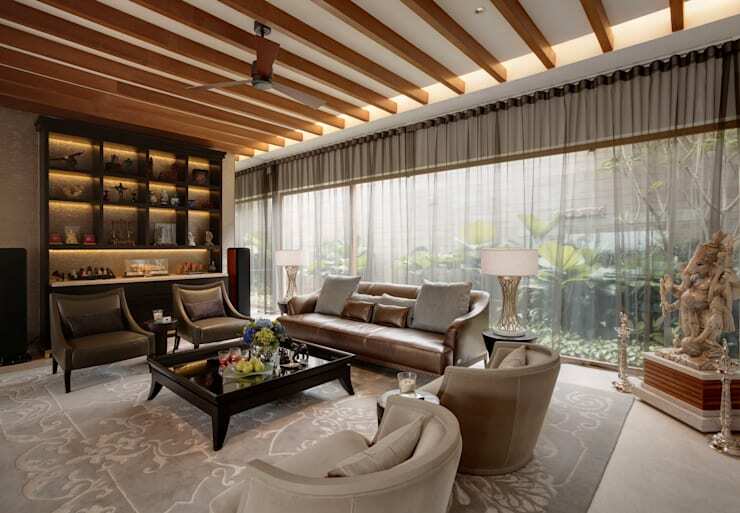 It is dramatic, distinguished and adds a whole other level of sophistication to a home. For accessories, consider silver, chrome and lots of mirrors. Grey has an ill-deserved reputation as a drab colour. But consider the power of soft greys in the bedroom. 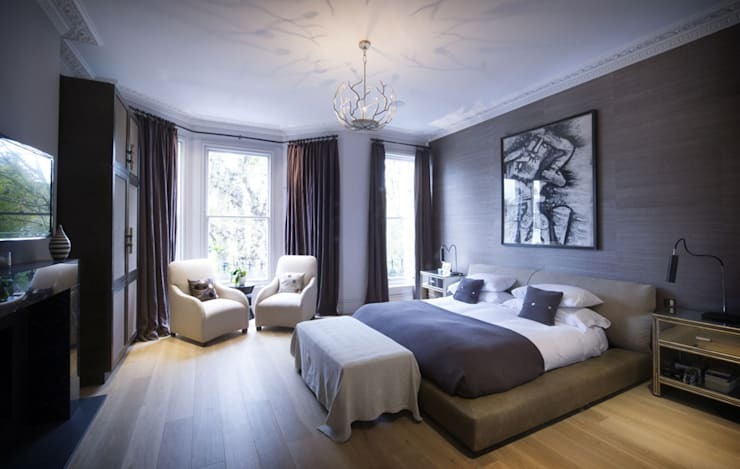 A grey bedroom will calm the nerves and encourage one to enjoy a good night's sleep. 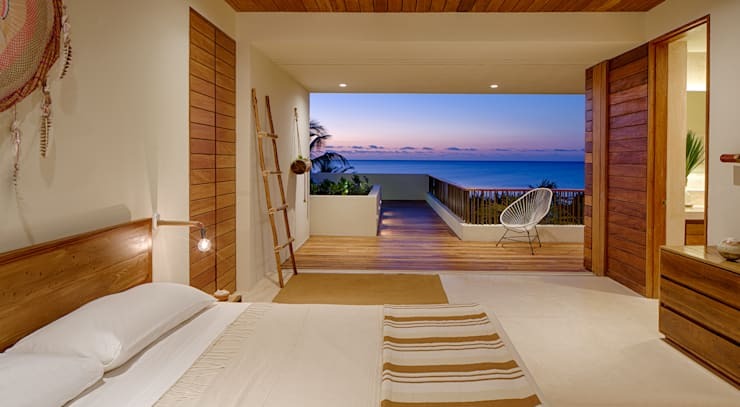 It also creates a very classic look for the bedroom. Wooden furniture, walls and objects are a good accompaniment to any colour scheme. They will lighten up the effect of a single dominant colour and act as a calming, neutral base to any room. If you shudder at the thought of rich, vivid hues, you might change your mind after seeing this lovely room! 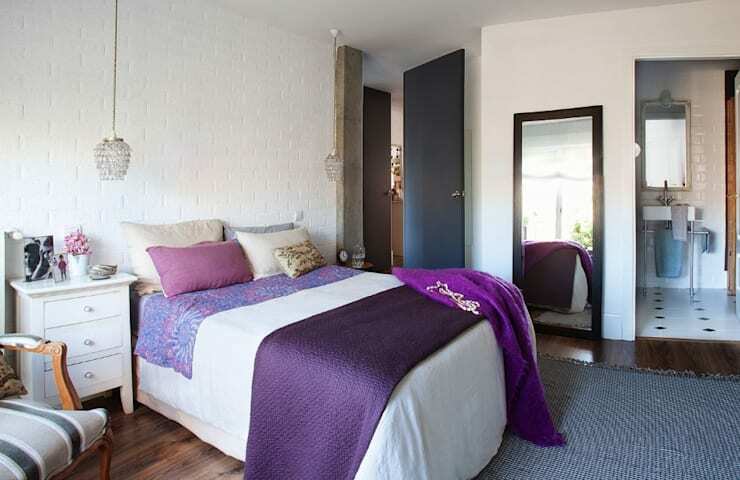 This purple bedroom possesses more than a few of the features we have explored today. It has texture and loads of variation. Finally, if you are an unapologetic fan of your favourite colour—embrace the drama! 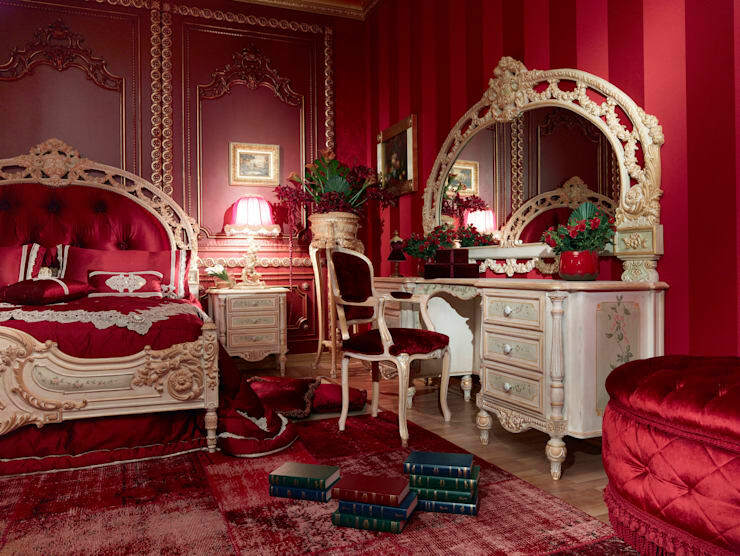 Perhaps you could end up with a lush red boudoir like this… ? If you're firmly in decorating mode, you'll love The incredible makeover of a small apartment—it's sure to provide you with some stellar home inspiration! Which is your favourite of the monochrome interiors we have explored today? Let us know in the comments field below!